I live in an old matchstick factory in Central London, well it’s East London and it’s got some real fascinating history about it. It was built in the 1850’s and it’s been around ever since then, but it was a factory up until the late 1970’s. So, it’s basically well over a hundred years in operation which is fascinating to me. It’s got a tonne of history and it was the first of its kind. It’s quite a famous brand, it was Bryant & May. It really got me thinking about longevity in business, and thinking about, ‘Okay, well this factory is to be around for like 150+ years then it must have definitely had a lot of their systems absolutely down’. The reason it kind of stopped production is because the matchsticks were able to be made cheaper elsewhere overseas. It just goes to show that no matter how old your business is, no matter how many of the systems you got in place turning out your product if you’re not innovating, if you’re not constantly looking to improve and keep an eye on the market place then things can end pretty rapidly. In terms of what it means for us as e-commerce business owners or you, as an Amazon seller, it’s like what can you do to make sure that you are not caught out. The landscape on Amazon is much fast paced than the matchstick business, for instance. So, what can you do to make sure that your Amazon products, your e-commerce products are continually staying ahead of the game? Making sure that you are innovating, make sure that you are continuing to improve your product. Not just have a product launched and then forget to continue to enhance it. 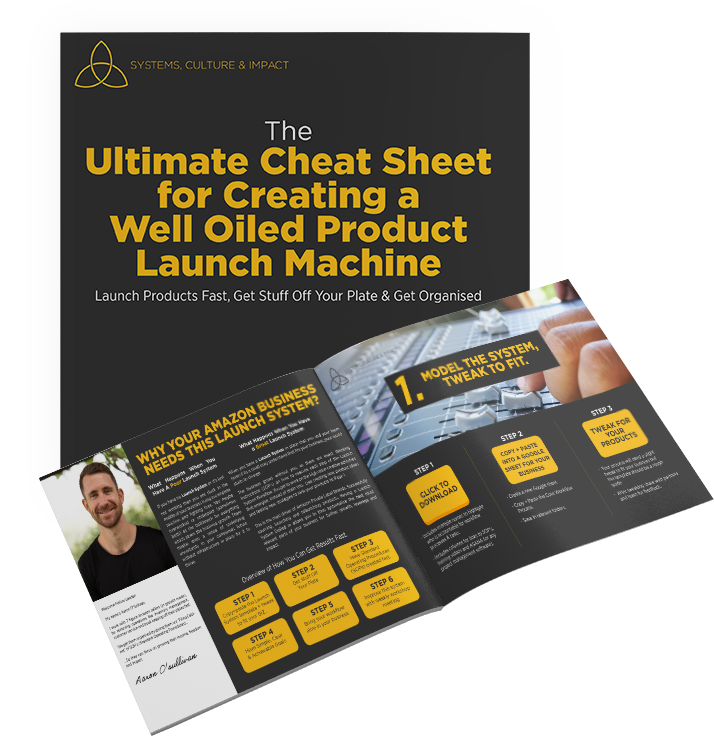 I spoke to a client the other week and he’s sold millions of dollars-worth of his products on Amazon.com and things have gone great for him over the years but in the last 8 months or so, things slowed down because he didn’t continue to update his products. As soon as he updated a new model of one of his products – one of the best sellers almost immediately. Obviously, it took a little bit of time to build up but the point is what are you doing in your business to make sure that you are not just being stagnant in your products? More importantly what can you get off your plate? What thing can you remove? If you are doing a lot of the day to day, a lot of things in the business where frankly are below your pay grade, you are not bringing the most value to the business. You might be good at them, you might enjoy them but you’ve got to look at it objectively. Where do you bring the highest value to the business? What are you good at? Figure out what you need to offload. Is there stuff where you just basically might hate the detail? You might be an ideas person and you need somebody that is an offsider or somebody that loves the detail to be able to get all that stuff off your plate so you can stay in your zone of genius, that’s the aim of the game. It can be hard to be aware of exactly what you’re good at and what your skill sets are but if you really think about where you really bring the most value, get clear on your strengths and weaknesses. Ask people around you that know you and work with you. Just hire to get that off your plate so you can keep innovating. You can keep working in your zone of genius. You can have systems to continue to improve your products overtime. You can have systems that continue to launch new products, new market place without being caught out and having your brand slip down in terms of relevance and popularity. All I got to say is think about in your business what systems can you put in place to get you more in your zone of genius? Who can you hire to make sure that you are not getting caught in places where you frankly hate to work? It’s not just bringing the best value to the business. That’s it for now. I hope you are having a wonderful week and until next time, I’ll speak to you then.